The beautiful beach of Al Bandar attracts sun seekers. Even at night, the hotel is a real eye-catcher. The pool invites the older and the younger alike for a swim. 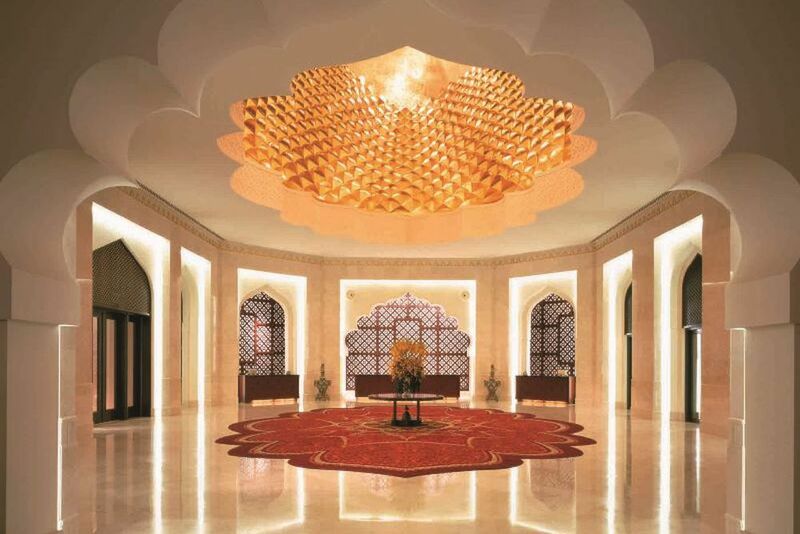 The lobby of the Al Bandar Hotel exudes a luxurious ambiance. 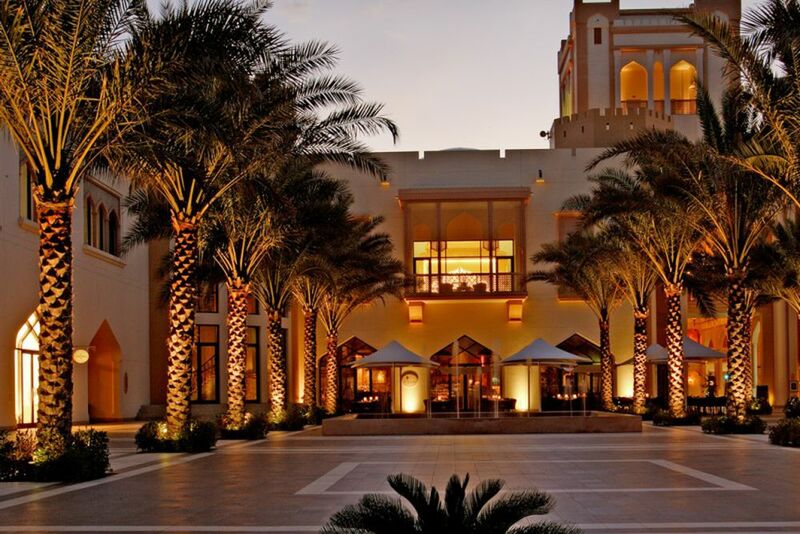 The elegant main building captivates with its Arabic flair. 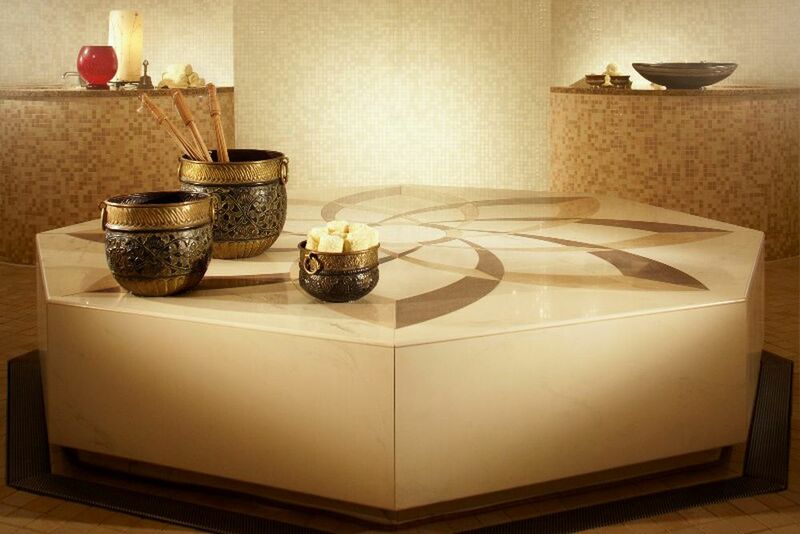 Enjoy exclusive treatments at the Chi Spa and let the stress of everyday life go. 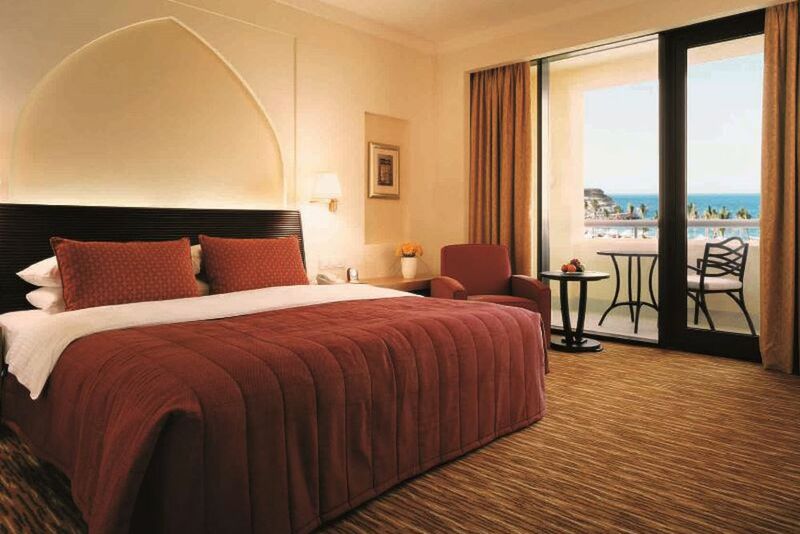 The Deluxe Sea View Room with Balcony offers unforgettable views of the sea. 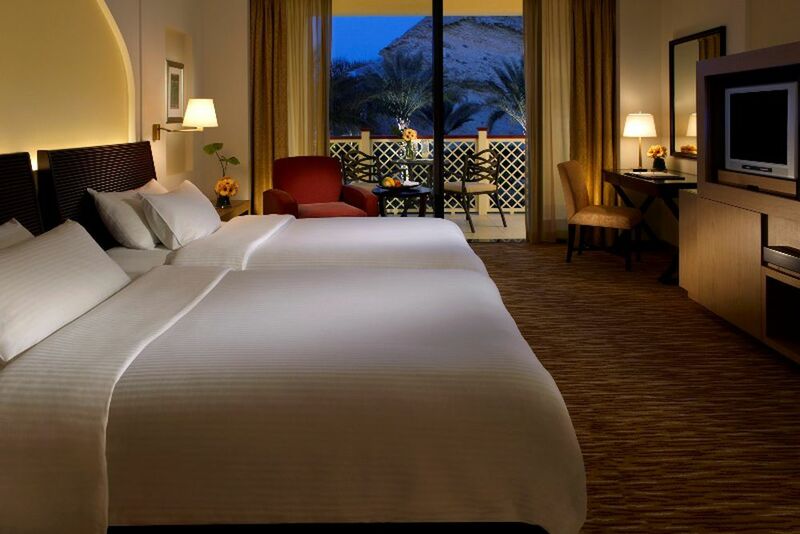 The Deluxe Room with its luxurious décor promises a relaxing stay. The Deluxe Sea View category with terrace or balcony with unparalleled views. The private terrace provides a place to sunbathe and relax. 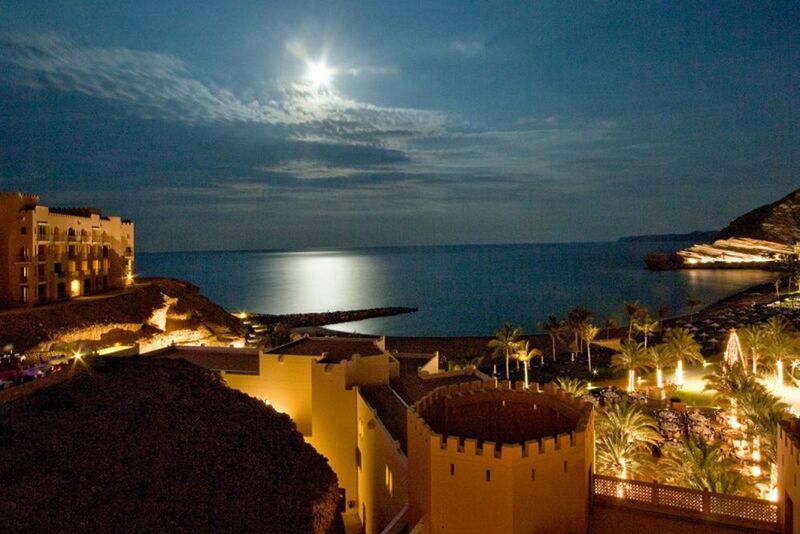 Desire to spend your holidays in Oman’s capital, Muscat, yet do not wish to miss out on luxury? Al Bandar is the perfect place for you! 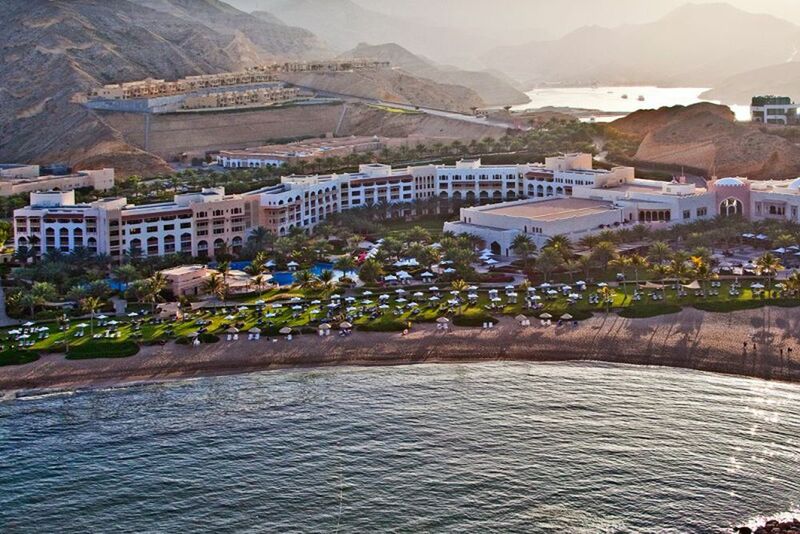 Perfect for couples, leisure travelers and business travelers, anyone will find the best accommodation option at this hotel overlooking the Gulf of Oman. 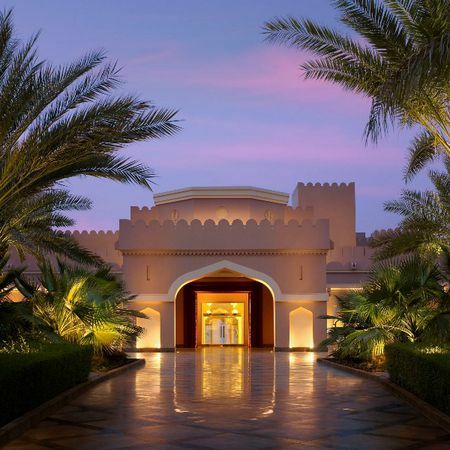 The 4-star hotel Al Bandar is one of the three hotels in Shangri-La’s Barr Al Jissah Resort and Spa in Oman. The name translates to “the city” and that is reflected in the hotel’s architecture. Located in the capital, Muscat, the buildings of this hotel have different heights and a variety of ornate balconies. The 1056 sqm ballroom can be hired for events with more than 700 people. There is a free shuttle that takes you into Muscat Old Town within 15 minutes, and the airport is 41 kilometers away. Choose from 8 different dining options, all with a variety of culinary specialties! In the Capri Court, taste contemporary Italian cuisine in the stylish restaurant. Dine at Tapas & Sablah under the open sky for delicious tapas dishes. For those who want to taste the traditional Arabic cuisine, visit Al Tanoor! Enjoy traditional dishes from the region around the Arabian Gulf in an authentic atmosphere. They also serve Mediterranean, Persian, Indian and Turkish dishes. With the sea right in front of the hotel, guests can visit Bait Al Bahr, which serves fresh fish and seafood on the beachfront. The Al Bandar Lobby Lounge is ideal for tea, cocktails or other refreshing drinks. The Piano Lounge has its own terrace that promises a special evening with exclusive cocktails, wine and cognacs. The hotel’s Circles Pool Bar invites guests to spend a relaxing evening by the pool with wood-fired pizzas and other dishes and snacks. The Long Bar is the perfect place to sit in a cozy atmosphere. Al Bandar’s guests are guaranteed a good view with 198 rooms overlooking the sea. The decor in all room types is a modern, Arabian-inspired flair and presents the spirit of Oman in a contemporary setting. All rooms are equipped with Wi-Fi, TV with satellite/cable, extra beach towels, separate shower cubicle, safe, desk, telephone, coffee/tea making facilities, and a minibar. Deluxe Room (28 sqm) - These rooms have a spacious living area and a 7 sqm balcony or terrace with a table and two chairs. From here, you have an unforgettable view of the garden and the Gulf of Oman. Deluxe Terrace (38 sqm) - These beautiful rooms have a 15sqm terrace with table and chairs, allowing direct access to the garden and pool. 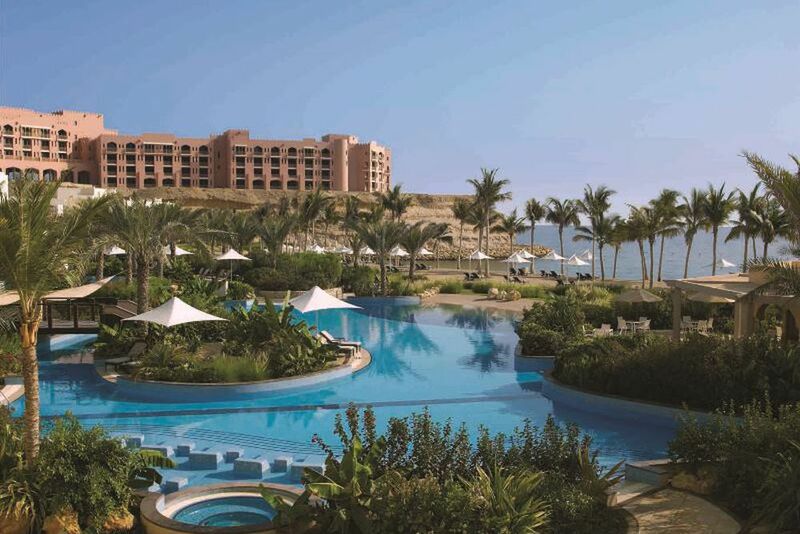 Guests can enjoy the view of the verdant garden, the sparkling pools, and the Gulf of Oman. 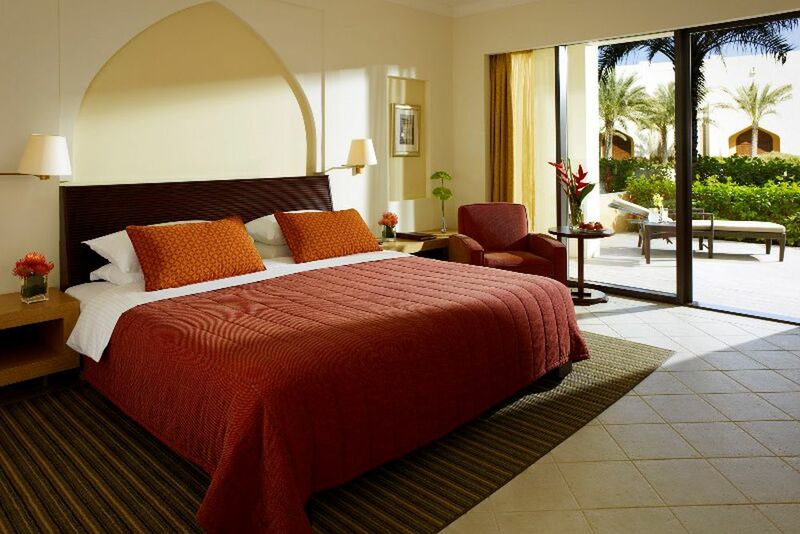 Deluxe Sea View (38 sqm) - Enjoy views of the garden and/or pools towards the Gulf of Oman. On a 7 sqm terrace or balcony, relax and take in the panoramic views. Premier (51 sqm) - Sit back on your 7 sqm balcony or terrace and gaze out over the garden and/or pools while the Gulf of Oman is not far from the horizon. One Bedroom Suite (76 sqm) - Ideal for families or groups, the suite is separated from the living room. On a 14 sqm terrace or balcony, you have the opportunity to enjoy the view of the flourishing gardens and the glistening sea. Speciality Suite (114 sqm) - These spacious suites have a separate bedroom, living room and dining room area. 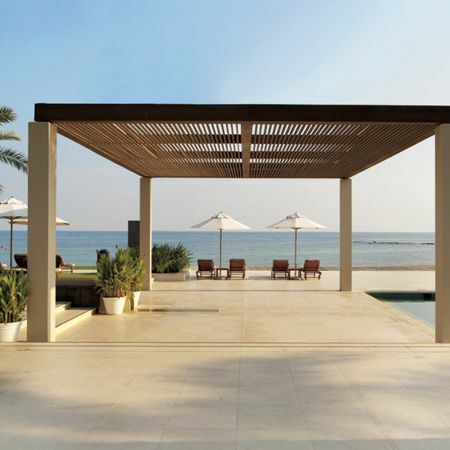 On the 28 sqm terrace or balcony, enjoy impeccable views over the lush garden and the Gulf of Oman. The Chi Spa pampers its guests, focusing on peace and a feel-good atmosphere. As the largest spa villa in Muscat, guests can unwind, find privacy and indulge luxury. Experience the unique Chi water oasis, which includes a vitality hydropool, herbal steam room, tundra and tropical showers, an ice shower and relaxation area. With its superb location on the 1700-kilometer coastline, water sports and nature activities are an experience you will remember for a lifetime! There is also a gym on the resort grounds. 20% discount on treatments in "Chi"
Please note that a copy of the marriage certificate must be presented at check-in.